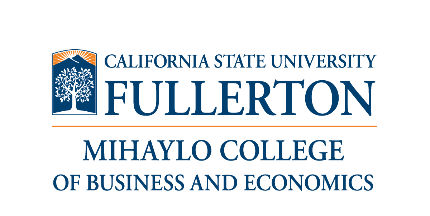 Today, California State University, Fullerton’s Mihaylo College of Business and Economics received its first grant, a $50,000 gift from Mercury Insurance for the Women’s Leadership Program, which provides curriculum and training specifically focused on preparing female students for advancement into top leadership positions after graduation. Women make up about 50% of Mercury’s leadership and we believe very strongly in the value of a diverse workforce, so providing this grant to Cal State Fullerton’s Women’s Leadership Program is a natural fit. For more information on the program, contact Dr. Goli Sadri at gsadri(at)fullerton(dot)edu. Applications for the Women’s Leadership Program are accepted here. Mercury Insurance (MCY) is a multiple-line insurance organization predominantly offering personal automobile, homeowners and commercial insurance through a network of independent agents in Arizona, California, Florida, Georgia, Illinois, Nevada, New Jersey, New York, Oklahoma, Texas and Virginia. 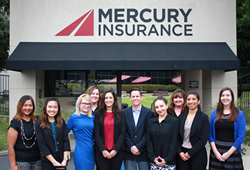 Since 1962, Mercury has specialized in offering quality insurance at affordable prices. For more information visit http://www.mercuryinsurance.com or Facebook.com/MercuryInsurance and follow the company on Twitter.